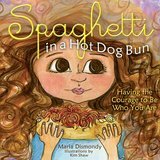 Click the title to purchase the book through Amazon! 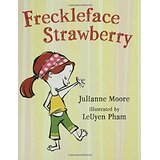 Summary: Freckleface Strawberry is just like everyone else, except that she has red hair and freckles, but when she tries to hide who she is, she learns about true friendship and accepting yourself just as you are. 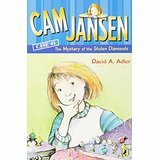 Click here to buy this book from Amazon! 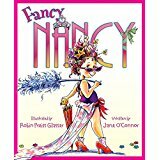 Summary: A young girl who loves fancy things helps her family to be fancy for one special night. 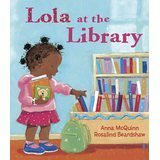 Summary: Every Tuesday, Lola and her mother visit their local library to return and check out books, attend story readings, and share a special treat. 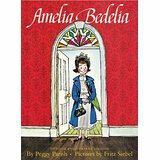 Summary: Wacky misadventures as that hapless maid Amelia Bedelia interprets her instructions very literally. 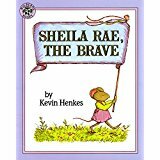 Summary: When brave Sheila Rae, who usually looks out for her sister, Louise, becomes lost and scared one day, Louise comes to the rescue. 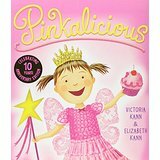 Summary: A little girl, who is obsessed with the color pink, eats so many pink cupcakes that she herself turns pink. 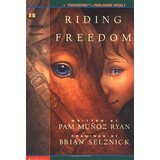 The coauthor is Elizabeth Kann. 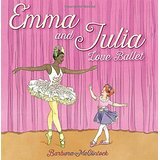 Summary: This story follows the everyday life of two dancers, one a professional ballerina and the other a very young student, both of whom love ballet. 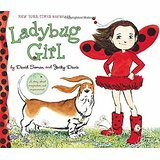 Summary: After her brother tells her she is too little to play with him, Lulu, dressed as Ladybug Girl, makes her own fun. 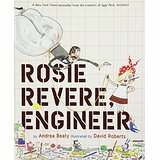 The coauthor is Jacky Davis. 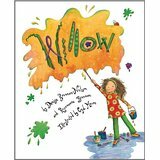 Summary: In art class, neatness, conformity, and imitation are encouraged, but when Willow brings imagination and creativity to her projects, even straight-laced Miss Hawthorn is influenced. 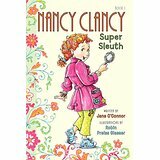 The coauthor is Rosemarie Brennan. 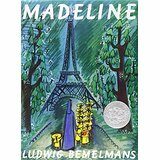 Summary: Madeline, smallest and naughtiest of the 12 little charges of Miss Clavel, wakes up one night with an attack of appendicitis. 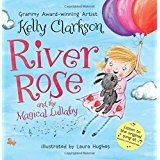 Summary: River Rose is so excited for her trip to the zoo tomorrow that she needs a special lullaby from her mom to help her fall asleep. 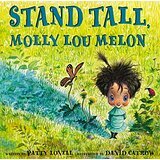 Lucy decides to help Ralph when he is in trouble, despite the fact that he teases her for being different. 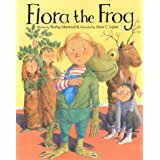 Summary: Flora is afraid that everyone will laugh at her if she is the frog in the class play, but at the pond by her house she makes a remarkable discovery and decides that being a frog in the play might not be so bad. 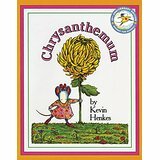 Summary: Chrysanthemum loves her name until she starts going to school and the other children make fun of it. 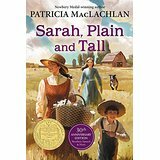 Summary: In this loving story of a motherless family, a tall, plain woman comes to stay with them. 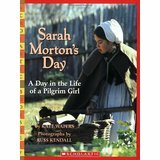 Summary: Take a trip through the year of 1627 with a pilgrim girl named Sarah, as she shows what work and play were like in an early American settlement. 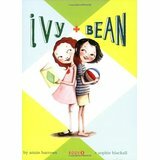 Summary: When a little girl's faraway grandmother comes to stay, love and patience transcend language. 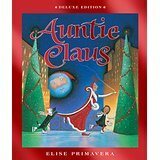 Summary: When her eccentric Auntie Claus leaves for her annual business trip, Sophie stows away in her luggage, travels with her to the North Pole, and discovers that her aunt is really Santa's sister and helper. 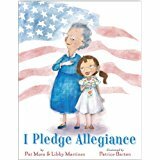 Summary:Libby and her great-aunt, Lobo, both learn the Pledge of Allegiance--Libby for school and Lobo for her U.S. citizenship ceremony. 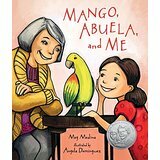 The coauthor is Libby Martinez. 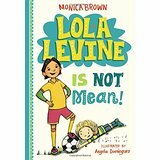 Summary: When the class bully at her new school makes fun of her, Molly remembers what her grandmother told her. 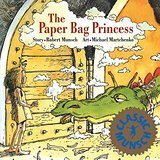 Summary: Elizabeth, a princess, outwits a dragon to rescue Ronald, the prince she intends to marry. 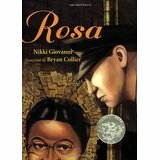 But when she discovers that Ronald, who looks like a prince and acts like a bum, she decides not to marry him after all. 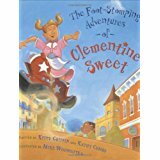 Summary: When her family ignores her on her sixth birthday, Clementine gets mad and starts stomping on people with her very strong legs and super tough feet, but a tangle with a tornado turns things around for her. 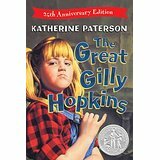 The coauthor is Kathy Combs. 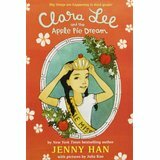 Summary: Korean American fourth-grader Clara Lee longs to be Little Miss Apple Pie, and when her luck seems suddenly to change for the better, she overcomes her fear of public speaking and enters the competition. 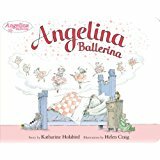 Summary: A pretty little mouse wants to become a ballerina more than anything else in the world. 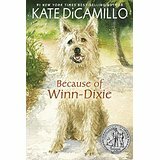 Summary: Ten-year-old India Opal Buloni describes her first summer in the town of Naomi, Florida, and all the good things that happen to her because of her big, ugly dog Winn-Dixie. 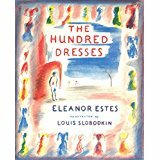 Summary: A young disabled girl and her brother are evacuated from London to the English countryside during World War II, where they find life to be much sweeter away from their abusive mother. 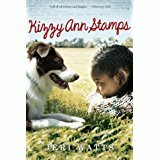 The plot contains violence, including descriptions of child abuse. 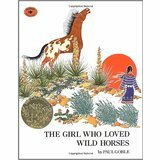 Summary: Though she is fond of her people, a girl prefers to live among the wild horses where she is truly happy and free. 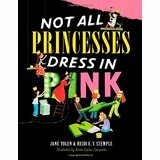 Summary: Rhyming text affirms that girls can pursue their many interests, from playing sports to planting flowers in the dirt, without giving up their tiaras. 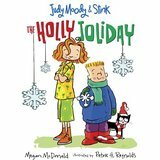 The coauthor is Heidi E.Y. Stemple. 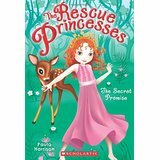 Summary: A princess who rescues princes is faced with her toughest rescue yet as she tries to save a prince who has been captured by an evil ogress. 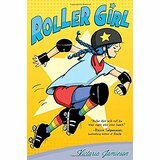 Summary: Hoping that if she wins a local beauty pageant her father will come home, Raymie practices twirling a baton and performing good deeds. 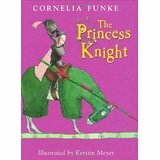 Summary: Raised by her widowed father, the king, Princess Violetta is horrified when he announces plans to hold a tournament, the winner of which will win her hand in marriage. 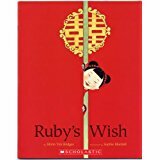 Summary: In China, at a time when few girls are taught to read or write, Ruby dreams of going to university with her brothers and male cousins. 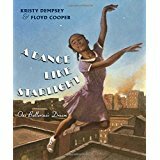 Summary: A young girl growing up in Harlem in the 1950s, whose mother cleans and stitches costumes for a ballet company, dreams of becoming a prima ballerina one day, and she is thrilled to see a performance of Janet Collins, the first "colored" prima ballerina. 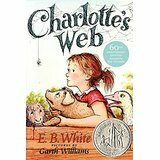 Summary: In this endearing story, a little girl and Charlotte, a beautiful grey spider, struggle to save Wilbur the pig from being butchered. 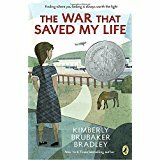 Summary: In 1943, during the German occupation of Denmark, ten-year-old Annemarie learns how to be courageous when she helps shelter her Jewish friend from the Nazis. 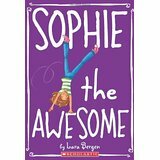 Summary: An eleven-year-old foster child tries to cope with her longings and fears as she schemes against everyone who tries to be friendly. 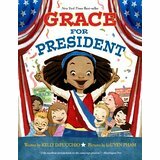 Summary: Grace decides to run in her school's mock election, where she learns about the American electoral system and sets out to be the best person for the job, even though her opponent, Thomas, seems to be winning all the boys' votes. 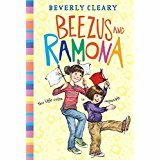 Summary: Four-year-old Ramona has an imagination that makes her a menace to everyone around her, particularly her older sister, nine-year-old Beezus. 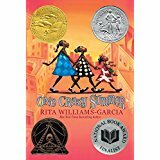 Summary: This picture book is an account of Rosa Parks' refusal to give up her seat on a bus in Montgomery, Alabama in 1955, and the subsequent bus boycott by the black community. 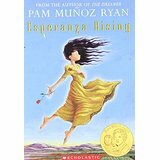 Summary: Esperanza and her mother are forced to leave their life of wealth and privilege in Mexico to work in the labor camps of Southern California on the eve of the Great Depression. 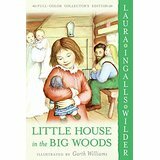 Summary: The Ingalls family is snug in their Wisconsin house in spite of blizzards, wolves, and the lonely forest. 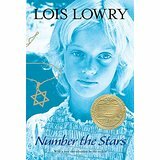 Summary: In winning a medal she is no longer there to receive, a little Polish girl teaches her classmates a lesson.